The new ADT Command Panel is out and people are getting use to the sleek new keypad and simple to use, but very intelligent ADT Control App. 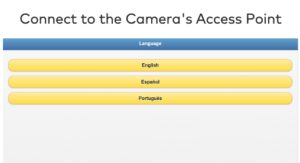 If you have the new ADT Panel and app and are wanting to add cameras to it these steps can help you do just that. Keep in mind you must already have at least one camera, or have video added to your service level in order to add more. But if you have the video service level already you are able to add up to 8 cameras that can record up to 6000 clips a month before you would be required to increase your video package. Unfortunately, you cannot do this process 100% on your own without ADT or an ADT Dealer finishing the process on the back end, but these are the steps you will need to follow on your end in order to add an ADT Command Camera. You need to have internet with a WiFi Router in order to do this. Also, the camera does not have to be located at the same location as the alarm panel. It just needs to be able to connect to the internet. Enter the password so the camera can join you WiFi network. That is it, you did it! Pretty easy right? There are different steps if you want to add the ADT Slimline Doorbell though. If you want to add an ADT Slimline Doorbell you will need to follow these similar steps. The good news is that with this doorbell you can actually add it 100% on your own without our or ADT’s help. Install the ADT Slimline Doorbell to the existing two wires. Mounting the backplate first and then attaching the two wires. Then attaching the front part to the back plate and securing with the screw. Open your ADT Control App and click on the top left menu button, you will then see “Doorbell Camera”. The MDC835 Outside Dome Camera connects using WiFi like the others, but it also connects using a direct connection to the router using an ethernet cable. If you choose to install it this way all you need to do is plug it into the ethernet connector and the led will be solid green with an occasional flash. Once this is done, it can be added on the back end. If any of the cameras do not seem to be working properly you can hold down their reset buttons for 15 seconds and it will factory reset them so you can start the process over from the beginning. Just let us know if you have any questions and if this post has helped you.